The trigger is one of the most important aspects of any firearm, and for competitive shooting (such as benchrest or PRS) it has be smooth, accurate, and reliable. Finding the right trigger can be a difficult task, especially when some companies don’t offer much information beyond the pamphlet that comes with them. That’s not how we do things at Bullet Central though, we want to make sure you know your Bix’n Andy triggers inside and out. We originally released the video in April 2018, and since then we have had several questions about Top Sears. Like the video, this article will explain the purpose of the top sear, how to know which top sear you need, and how to change your top sear. What is a Top Sear? The top sear is part of the trigger that engages with your cocking piece. In most triggers, they use a one-size-fits-all strategy, which is fine but at Bix’n Andy we prefer that all of our customers have optimal engagement with their preferred action. So what is the optimal engagement? That is a bit tricky because if you have too little engagement your cocking piece will go right over the top of your top sear, and you won’t be able to hold the firing pin back. 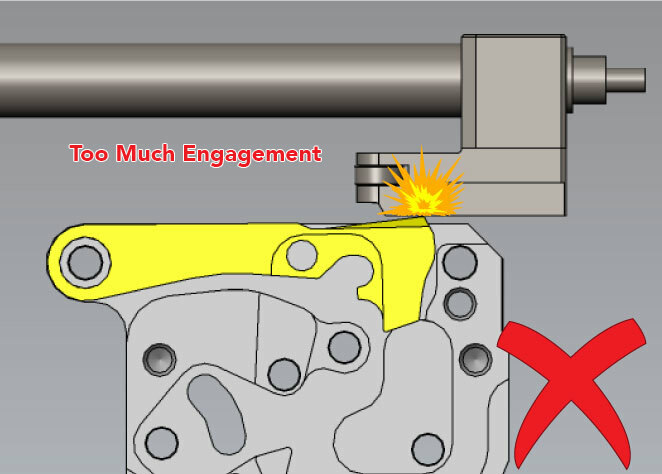 However if you have too much engagement it could cause inaccuracy and it may not allow your firing pin or cocking piece to travel over the top. 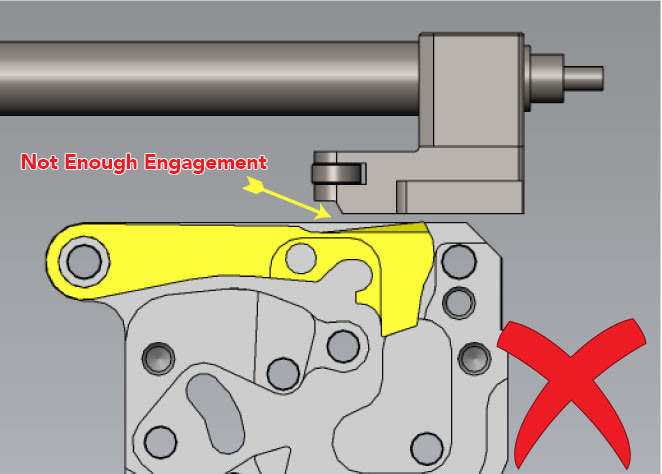 Sear height is the distance, measured in height, between the center of the dowel pin on the trigger to the top of the sear when it’s in the locked position. 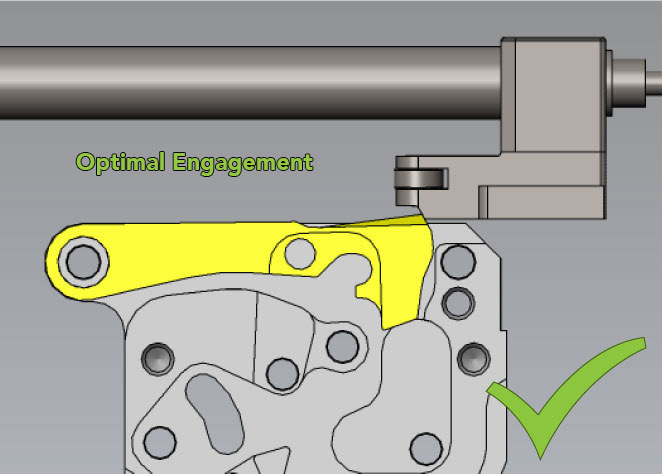 How do measure my actions sear height so I can have optimal engagement? I ordered the Bix’n Andy competition trigger order #12225 and installed it on a Holeshot Arms 2500x 22lr action. 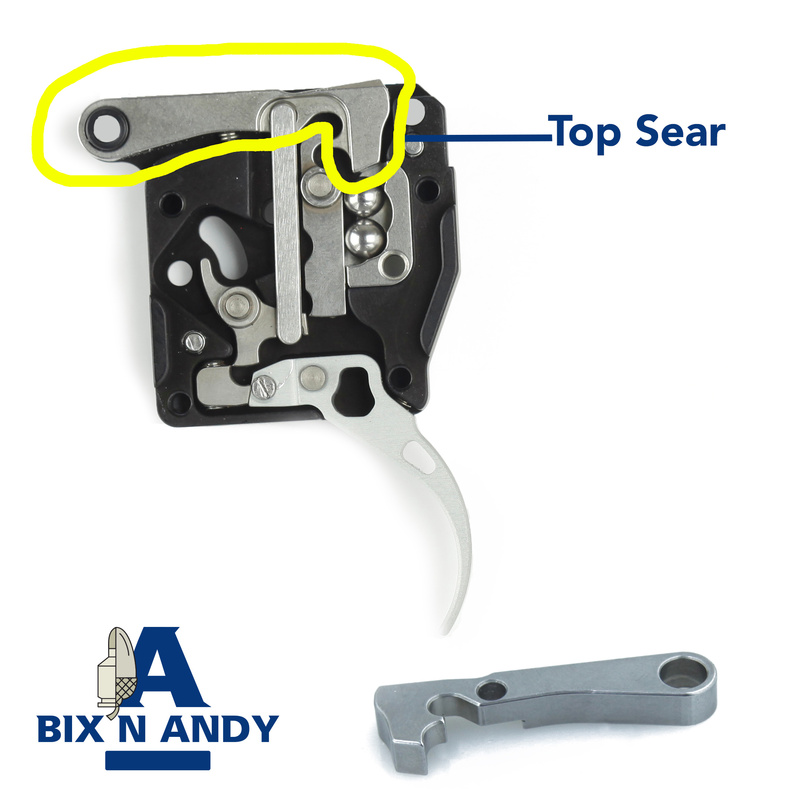 The top sear bumps the locking lug and drags slightly on the bottom of it while inserting the bolt. Is this unusual and will it cause any harm? Please give us a call at +1 701 371 4444, so we can determine the exact issue. The team at Bullet Central.